To celebrate American Heart Month this month, my girls and I decided to walk more. We're already fairly active, but we want to increase our physical activity because sitting too much can increase our risk of developing high blood pressure, Type 2 diabetes, and depression. Fitbit recommends that we walk 10,000 steps each day, the equivalent of five miles or 30 minutes, and we're going to try to meet this goal in 10 simple ways. The type of shoes I wear definitely affects my activity level during the day. If I grab cute but uncomfortable shoes, I tend to walk less, but watch out world if I wear sneakers! The right walking shoes have the power to keep me moving, so I will commit to wearing comfortable shoes as often as possible. I confess that I sometimes drive around the parking lot until I find a close parking spot, but I'm going to start parking at least a few blocks away on purpose. My girls agreed that we need to park farther away from stores when we do errands, too, so we can improve our step total. The elevator quickly carries me to my office, but I plan to use the stairs from now on. I can also take the stairs to use the restroom on a different floor to I boost my step count. I usually spend my lunch break checking social media or reading a magazine, but I want to use that time to walk instead. Even better, I plan to set hourly alarms on my phone to remind myself to get up and walk around. 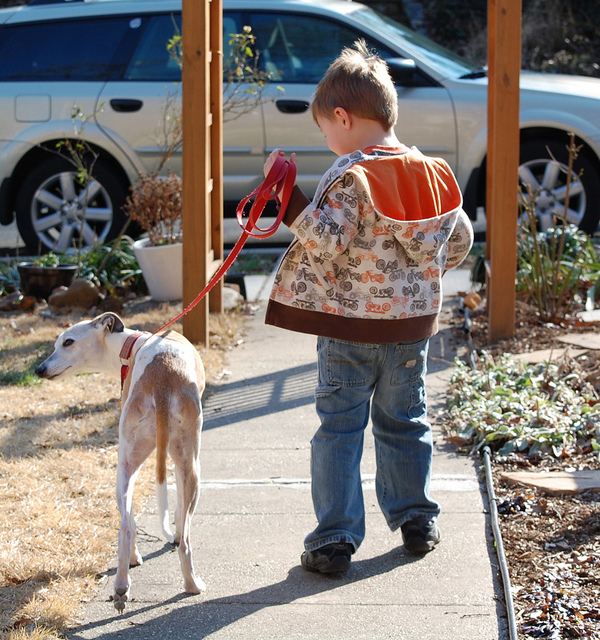 Your housekeeper, lawn-mower, and dog-walker essentially walk for you as they work around your home. If you hire people to take on these chores, consider doing these tasks yourself so you can add more steps to your daily routine. Eating chocolate, binge-watching TV, and hanging out online often help me cope with stress, but these habits don't improve my health. Instead, I want to walk and enjoy the quiet time, fresh air, and scenery as I relieve stress and meet my daily step goal. As I make dinner, watch TV, or talk on the phone, I typically stand or sit still. I can add dozens of steps into my day, though, if I multitask by walking while I do these things. If you're like me, you carry all of the grocery bags at once so you only have to make one trip from the car to the house. You may also cart a huge laundry basket upstairs all at once or email colleagues when you have a question because it's faster than walking to their desk. Inefficiency helps me walk more, though, so I will make multiple trips while unloading the car, walk over to see colleagues when I need to talk, and start using a smaller laundry basket. Being inefficient will take more time but is an easy investment in my health that I'm definitely willing to make! Solo walks get boring fast, so my girls suggested that we each bring a friend. While we walk with our buddies, we have so much fun chatting that we forget to feel bored or tired. Plus, our friends keep us accountable and encourage us to walk each day. While we don't have a dog, my girls suggested that we walk our neighbor's pooch before and after school or volunteer to walk our local shelter dogs. This task only takes about 15 minutes, but it's a great way to accumulate steps and do a good deed. This month, my girls and I plan to celebrate American Heart Month by walking 10,000 steps a day. We'll use these simple ideas to reach our goal. What other tips could we try?